The standards of scholarship prevailing in the social sciences of management are indicative of an atrophy of the critical function. This results in a kind of tribalized authoritarianism, a dispersed oligarchy of the gatekeepers in which the congeniality of ideas and findings with their own have replaced judgments based on the quality of argument and evidence. 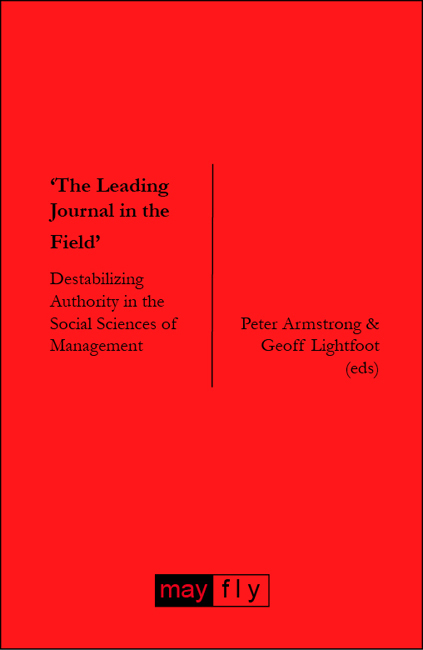 The authors in this volume turn to the practice of practical criticism to destabilize authority in the social sciences of management, and to assert that it must be possible for criticism of scholarly outputs – particularly those of established authority-figures – to be heard and debated.